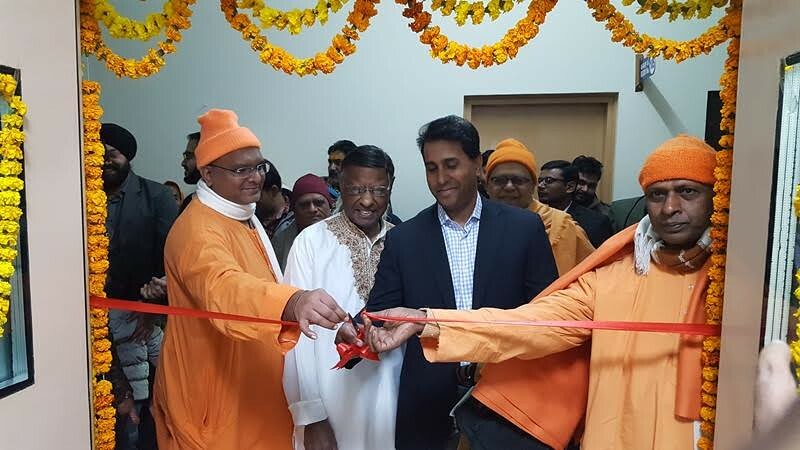 The ‘Ramakrishna Mission – Bani Mittra Cancer Centre’ was inaugurated at Ramakrishna Mission Sevashrama, Vrindavan on Thursday, 4th January, 2018 amidst Vedic Chanting by Sri Sid Mittra and his son Dr. Ajit Mittra of USA. The Cancer Centre offers services in advanced cancer surgeries like oncoplasty, free flap, breast reconstruction, commando surgeries etc. 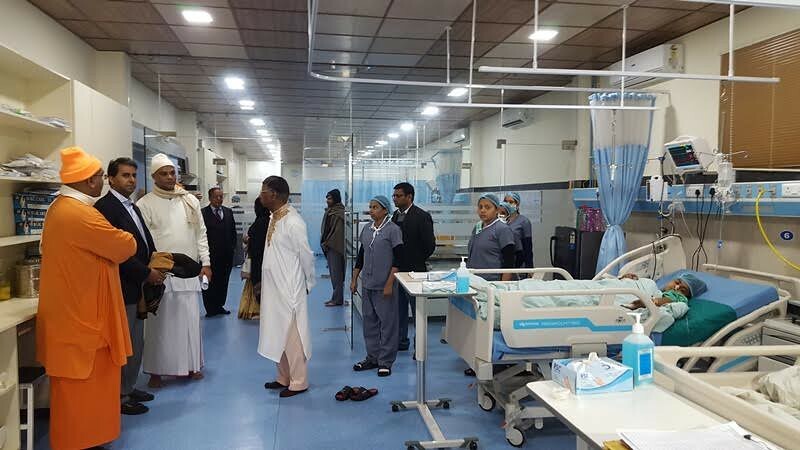 The Centre also offers chemotherapy treatment. In the first phase, the Centre treats oral, breast, gastro-intestinal, cervix and skin cancers with the help of advanced equipment by expert cancer specialsts. A team of Cancer Specialists led by Dr. Mandeep Singh Malhotra is offering their dedicated services for this Cancer Centre. 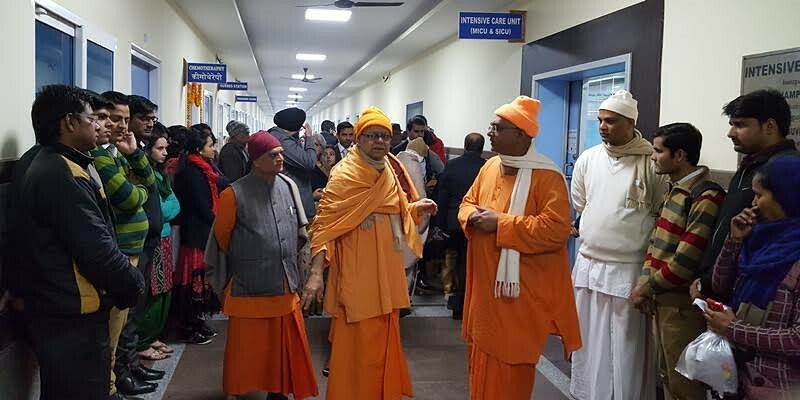 The dignitataries on the dais expressed their happiness on the cancer services offered by our Vrindavan Hospital and said that this Centre would prove to be a boon in serving the poor cancer patients of this region and the neighbouring states. 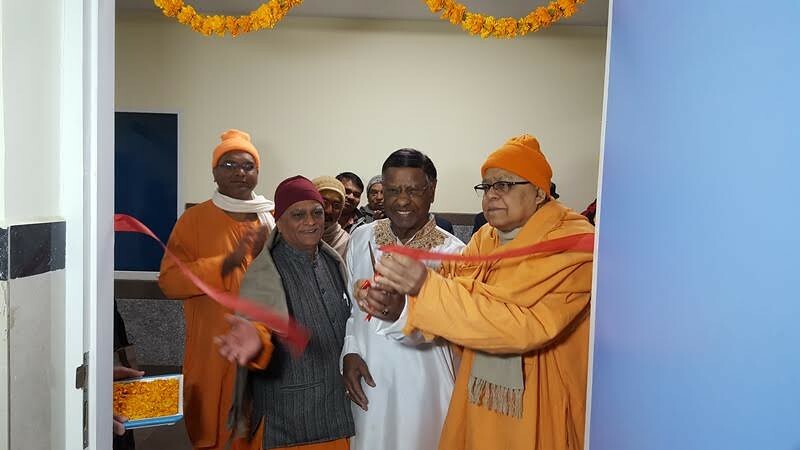 On the same occasion, Swami Raghavendrananda, Secretary of Ramakrishna Mission, Gwalior inaugurated the Chemotherapy Unit. 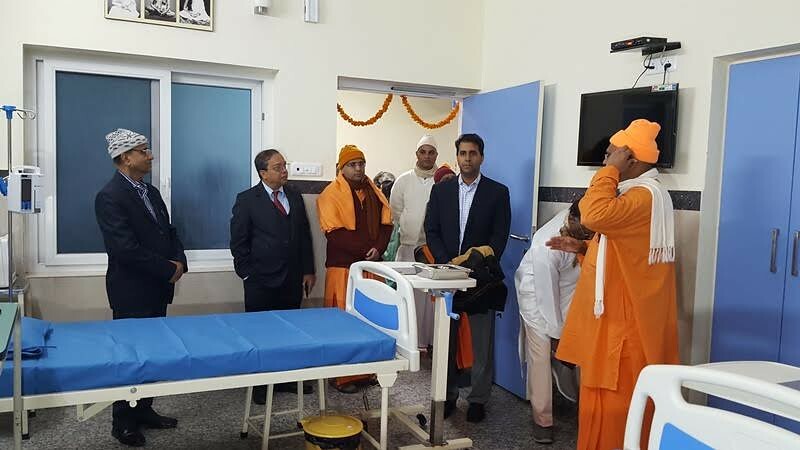 Many doctors, nurses, nursing students, devotees, friends and well-wishers were present on the occasion.